I hope you had a wonderful New Year Celebration! I wore this sequins blazer to our little New Year's Eve party. I just got back home from a mini road trip with my sister. We had so much fun--going from the mountains to D.C. and to Maryland. The trip was just what I needed to be motivated and inspired for 2015...I had so many first experiences during our trip, and I hope that continues all year. But aside from trying new things, there's a few areas in my life that I hope to improve. I figured if I wrote it down, I'd be more likely to actually follow through! Start every day with devotions, I downloaded Jesus Calling for my iPad. The devotional has a message and bible passage for every day of the year, so it's planned out perfectly. Become more organized. I have this planner for work and this planner for my personal life--I'm writing down everything this year!! Continue to professionally grow at work and become ready for a promotion. Work-out more, such a typical "New Year's Resolution," but I enjoy running, and I want to be more dedicated to doing it regularly this year. I love this sequin jacket!! What a fabulous NYE look! Happy New Year! Thank you Alecia! Happy 2015! You look amazing!! 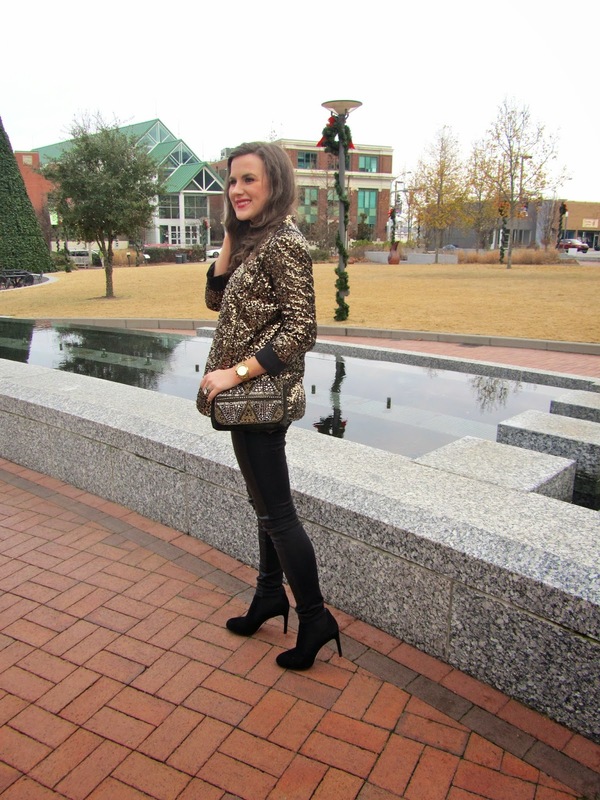 I'm DYING for that sequin blazer, it is such a fun piece!